Hear from Paula Leach, Chief People Officer at The Home Office on HR's important role at the top table. 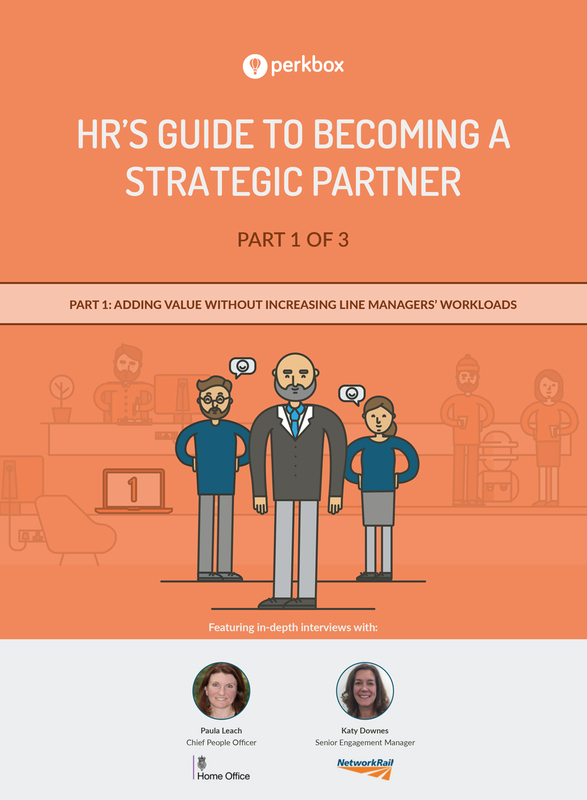 HR professionals have never been better placed to contribute to top line growth. HR can be known for more than simply cutting costs and reducing overheads, as Paula discusses in the above video at one of our Perkbox Live events. In this eBook Paula Leach, Chief People Officer at the Home Office and Katy Downes, Senior Engagement Manager at Network Rail, discuss the best strategies for adding value to the business without increasing line managers’ workloads.